Detailed preparation and refusal to back down helped Local 1008 win 54 months’ worth of back wages for three UE members who had been misclassified. 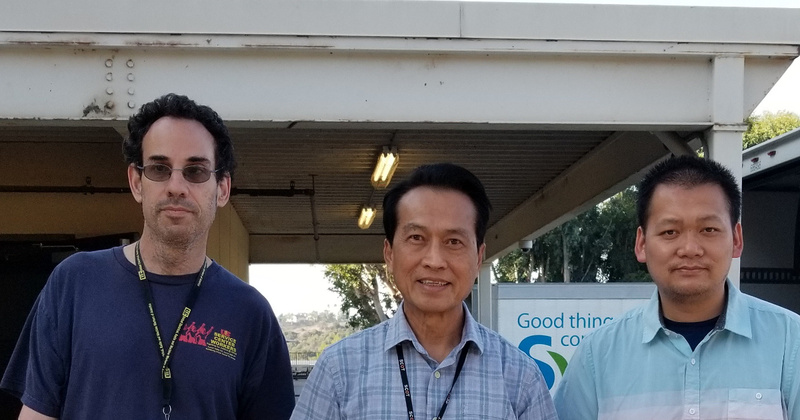 Local 1008 members Duy Nguyen, Ho Tran and Bridget Morrison had not been receiving the pay rate that they should have been, given that they work directly and communicate directly with officers of the US Citizenship and Immigration Services (USCIS). Local 1008’s leadership met with the three grievants and put together a three-inch-thick binder of evidence and supporting documentation. At the third-step grievance meeting, the grievants and local leadership each took turns presenting the union's case and walking management through the extensive and detailed documentation. Ho Tran presented management with two copies of the binder. “Management was speechless” at the level of detail presented by the union, said UE Local 1008 steward Jed Klang. The company agreed to pay 24 months' back pay for both Ho Tran and Duy Nguyen, and six months of back pay for Bridget Morrison.